Researchers tested a high-fat diet that contained fermentable carbohydrate and found that it protected against obesity, but relied on a speficif receptor. 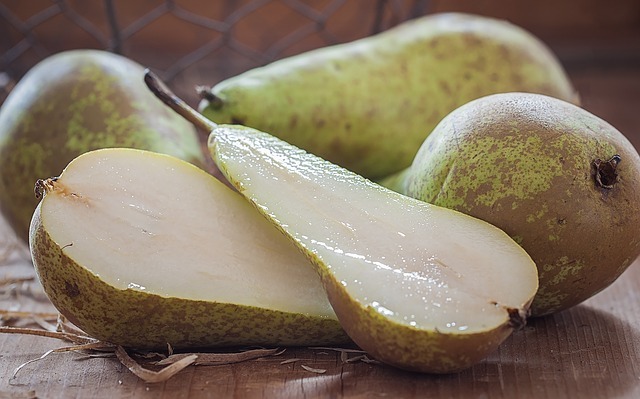 Pears are one of the foods that contain fermentable carbohydrate. The team of scientists from King’s College London and Imperial College London tested a high-fat diet, containing a fermentable carbohydrate, and a control diet on mice and looked at the effect on food intake of those with and without the FFAR2 receptor. The results showed that mice fed the diet containing fermentable carbohydrate were protected against obesity. This protection was lost however, when the FFAR2 receptor was not present. Indeed, those with the receptor showed an increase of 130% in the satiety inducing gut hormone peptide YY, as well as an increased density of cells containing PYY, leading to an increased feeling of fullness.